How can big data help improve child maltreatment response and prevention? At 18, Miranda Sheffield got the shock of her life when a pregnancy test came up positive. She was a track star and a senior at Pomona High School, set in the vast urban tracts surrounding Los Angeles. Unlike anyone else in her family, Sheffield was on her way to college. Even if she didn’t fully realize it as a pregnant teen in 2004, the prospects for her baby girl were less than optimal. 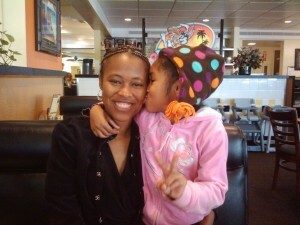 She was single, on public health insurance and had been in foster care for almost half of her quickly fading childhood. 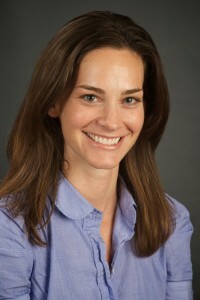 In 2013, Emily Putnam-Hornstein and a team of researchers from the University of Southern California and the University of California-Berkeley released a groundbreaking study that tracked what happens to the children of young mothers who had experienced the child protection system in Los Angeles. By age five, 40 percent of children with mothers who had been suspected victims of abuse were reported themselves. For sons and daughters of moms who had been confirmed victims, 18 percent would wind up as confirmed victims themselves. This is only one facet of a growing body of research that is clearly linking certain data points available when a baby is born with their subsequent involvement with the child protection system. What is emerging is a new paradigm, where big data can be crunched in a way that helps determine which children are at greater risk of being abused. For Los Angeles County, which committed itself to an overhaul of its child protection system last year, the idea of applying “predictive analytics” to child maltreatment response and prevention has gained a new currency. Its Blue Ribbon Commission on Child Protection recommended that the county implement a predictive analytics model piloted in Florida that is meant to reduce child fatalities. It also pointed to Putnam-Hornstein’s research, which could be applied to targeting services to families and individuals, like Miranda Sheffield, before a call of abuse is ever made. The transition team charged with seeing the blue ribbon commission’s recommendations through has taken little substantive action towards launching a robust predictive analytics system in Los Angeles. Meanwhile, the county’s Department of Children and Family Services has quietly developed a system of its own. But the prospect of using risk models to identify families and individuals is not without debate. For some, the idea inspires worry that families accused of abuse and neglect will experience an overly ratcheted-up response based on a probability that something will go wrong. When it comes to offering child maltreatment prevention services before a call of abuse is made, there are lingering questions of stigma and labeling. Putnam-Hornstein’s research relies on linking birth data to subsequent involvement with public social services, including child protection. 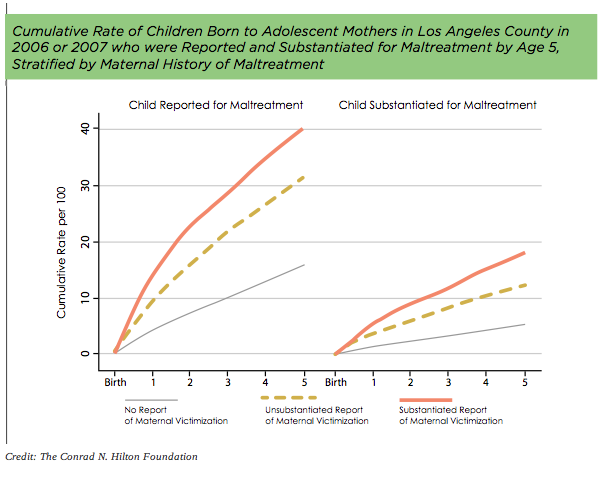 In 2011, she and a group of researchers at Berkeley’s Center for Social Services Research released a study tracking instances of reported and substantiated child maltreatment for more than two million babies born in California between 1999 and 2002. Subsequent analysis revealed that the cumulative effect of having more than one of these risk factors increased the likelihood of CPS involvement even further. While Sheffield wasn’t aware of the numeric probability that her child would be reported for abuse, she did feel like she was letting down her supporters, mostly her “heart mother,” foster mom. Richard Martinez, the superintendent of Pomona Unified School District, was a member of the commission and also serves on the blue ribbon transition team, which has worked to move the county along in implementing the commission’s recommendations. Martinez said the transition team hasn’t made any headway on seeing a predictive analytics tool like Eckerd’s is implemented. The Eckerd model, called Rapid Safety Feedback, was developed by looking at 1,500 cases of child maltreatment in Hillsborough County, FL, where Eckerd is the private provider operating child protection services. Eight of those cases were fatalities. Eckerd found that fatality prevention had to focus on children under the age of three who are left in their home after a visit by a child protective services caseworker. Every child who had died in the previous two years fell into that category. Eckerd also created a nine-point risk assessment checklist that child protection workers must fill out. If the issues aren’t resolved rapidly, the case is moved up from the manager to the director level so that an adequate response is forthcoming. While the blue ribbon commission was showing off the Eckerd model, DCFS was inching ever closer to launching a risk prediction tool of its own. As far back as 2008, the department started developing a program called Approach to Understanding Risk assessment, or AURA, according to Francesca LeRúe, who heads the 50-person Risk Management Division. AURA analyzed risk factors for cases that were deemed critical incidents, near fatalities or fatalities over a three-year period starting in 2011. The results from 2011 and 2012 yielded a risk score, which was then tested against the 2013 data. The risk scores were helpful in indicating which children would end up with the most serious cases of abuse, according to Le Rúe. LeRúe, who spent a good part of her 26 years at DCFS investigating child abuse, sees AURA as an invaluable tool for child protection workers. But even so there are limitations. Armand Montiel, spokesman for Los Angeles County’s Department of Children and Family Services (DCFS), agrees that using data to determine risk is critical, and also thinks that predictive analytics’ real potential lies before a call of abuse is ever made. Margaret Henry is a juvenile dependency judge in LA County, and is a member of the blue ribbon transition team. Judge Henry remembers a presentation given by Putnam-Hornstein before a group of child protection leaders last year. Indeed, Putnam-Hornstein is grappling with this very same question. Judge Henry also pointed to the upsides of better targeting voluntary services. For Sheffield, no such services were forthcoming. Now 28, she sees having her daughter as the single best thing in her life. The situation sure didn’t seem that way at first. She had her baby in 2004, eight years before California would extend foster care to age 21. But even then, Los Angeles County’s juvenile courts often allowed for children to stay in past their 18th birthday on the county’s dime. Sheffield recalls her social worker and supervisor coming over to her foster mother’s house with a stack of papers for her to sign shortly after her 19th birthday, and within months of her baby being born. Sheffield said she wasn’t ready, that she needed help, at which point she says the county workers became forceful. Scared, she signed the papers. Now a youth representative working for the Children’s Law Center of California at the children’s court in Monterey Park every day, she can see ways she could have advocated for herself more. She said she didn’t even call her county-appointed lawyer, because, as is often the case, he had only recently been assigned to her case and she barely knew him. At that time, there was no transitional housing for young mothers leaving foster care that Sheffield could find. Her only option was to go to a shelter for homeless mothers. Luckily, her foster mother let her stay on. Sheffield’s church also pitched in. But for all intents and purposes, the system had left her, and her baby, to face the risks we now know await teen mothers with CPS histories. In the 10 years since she had her child, there have been no reports of abuse or neglect. Sheffield would go on to get a bachelor’s degree, intern for U.S. Representative Nancy Pelosi (D-Calif.) and now serves as a peer coordinator for youth who are eligible for extended foster care benefits. By all accounts, Sheffield is a success story. But that her child, now 10 years old and happily situated in a fifth-grade classroom, didn’t endure the abuse and neglect that Sheffield faced is the larger victory. This happened in absence of a comprehensive system. What could be done for the thousands of other Miranda Sheffields if such a system was in place? Daniel Heimpel is the founder of Fostering Media Connections and the publisher of The Chronicle of Social Change.